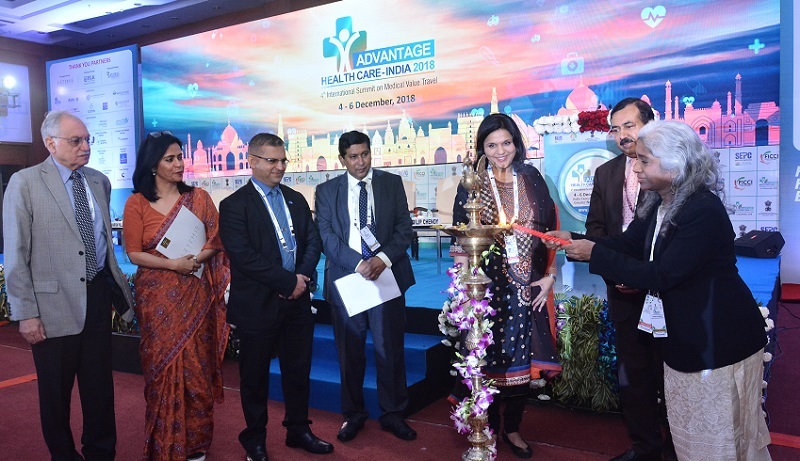 Lighting of the Lamp by Mr Sudhanshu Pandey, Additional Secretary, Ministry of Commerce and Industry, Government of India, Ms Sangita Reddy, Vice President - FICCI & Executive Director Apollo Hospitals Group, Dr Devlina Chakravarty, Co-Chair – FICCI MVT Committee & MD- Artemis Hospitals. New Delhi: Mr Suresh Prabhu, Minister of Commerce and Industry, Government of India, has stated that government is committed to providing quality health care within the country and outside through promoting the service sector. 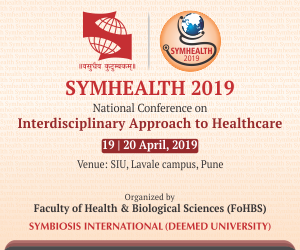 Mr Sudhanshu Pandey, Additional Secretary, Ministry of Commerce and Industry, Government of India, said that it is extremely important that the healthcare facilities are affordable as only then more and more people can access quality healthcare. “Our efforts in India have been to reduce the cost of healthcare services, while we take our journey towards universal coverage, we try to offer and share our resources with the global citizens,” he added. He further said that India itself carries a very large disease burden and is trying to come up with programs and policies, latest one being Ayushman Bharat Scheme, where effort have been made to extend a wide insurance coverage to the Indian citizens numbering over 500 million so that they can have access to better health care facilities. Advantage Health Care India – 2018 aims to present India as the most preferred healthcare destination for patients from across the globe. The idea behind the summit is to provide an opportunity for India to showcase its immense pool of medical capabilities as well as help develop opportunities for healthcare collaborations between the participating countries. Visitors and delegates from over 71 countries are participating in the Summit. Ms Sangita Reddy, Vice President, FICCI & Executive Director Apollo Hospitals Group said, “India is unparalleled in delivering quality medical care at one tenth of the global cost, and aims to transform this sector so that India becomes an epicenter of Medical Value Travel.” She further added that we will continue to work on better facilities, translation, food, and outstanding medical services for our foreign patients. Our doors are open, our hearts are open, and our facilities are on par with the best. Dr Devlina Chakravarty, Co-Chair-FICCI MVT Committee & MD, Artemis Hospitals said that India has more than 1600 NABH accredited facilities, & 32 JCI accredited hospitals. “Cost is not the only differentiator for India when it comes to medical value travel, we’re also known for our talent,” she added. On the occasion ‘FICCI-EY Knowledge Paper on Medical Tourism in India’ was also released by FICCI in association with Ernst and Young. The dignitaries at the two-day conference and exhibition included Mr Dilip Chenoy, Secretary General, FICCI; Dr Shohani Ramzi, Head International Relation, Health Ministry of Iraq; Mr Suranjan Gupta, Executive Director, EEPC India; Dr Harish Pillai, Co-Chair – FICCI MVT Committee & CEO Aster Hospitals & Clinics, India at Aster DM Healthcare.